I received this information from the Get Covered America Team. In October, the Affordable Care Act (ACA) will add another feature to its growing list. This will be the requirement that all Americans should be covered by insurance. Now, if you’re a dialysis patient, you are eligible for Medicare. If you have private insurance through your employer, you don’t need to go on Medicare until you’ve been on dialysis for 30 months. (After 30 months, private insurance converts to Medicare.) After 30 months, you must convert to Medicare. But if you don’t have insurance, you can get on Medicare immediately upon your diagnosis of ESRD (End Stage Renal Disease). You need to contact Medicare for that. But, for those who need to know this about the ACA Requirement, you may be able to pass this along…. 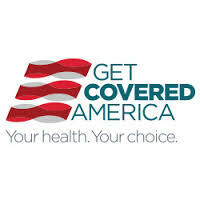 Starting October 1, 2013, the ACA will help millions Americans get access to quality, affordable health insurance. Check out the website about what the Get Covered America campaign means and share it with your friends. (It’s slow to load!). Click on the link above. It’s super easy, and everyone can still see your charming face. This simple message can help bring more awareness to what #GetCovered is all about. Here’s to making the next 100 days count! This entry was posted in ACA, activism, Affordable Care Act, dialysis, Medicare, New Patient, patient care, social networking, Social Work and tagged ACA, Affordable Care Act, dialysis, ESRD, hemodialysis, kidney, Medicare, patient care, social work. Bookmark the permalink. Great article, sharing on Kidney Stories! I sent you an email about some ideas I have and suggestions for you. Thanks for sharing. You are probably overwhelmed and that’s not unusual. thank you for answering my email. I am very overwhelmed. I don’t know how I can possibly manage it all.